to Indian users in July last year, but it is now rolling out to users globally. 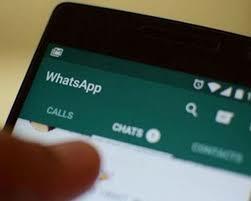 Updating WhatsApp to the latest version will enable this restriction, and it's a welcome start measure to curb the spread of fake news via the messaging platform. Last year, to combat the issue, the company also rolled out 'Suspicious Link Indicator' feature that locally detects suspicious links and notifies the recipient before they are opened. Another disclaimer pops up even after the user clicks on such links. This helps users easily identify fake and factual news pieces.